Brow's have been a major part of my makeup/beauty routine for a few years now! Without them being filled in, I feel totally naked! That being said, I've had to really try out a few different brow products and techniques to achieve the ultimate brow! I've tried powder, gel (pomade) and pencil. The one I always lean back to are the pencils. I use to really dislike using brow pencil's just because I wasn't very good at feathering or 'drawing' my brows on, but with practice it becomes like second nature. I love it because it's quick and you can really fake a natural looking brow with pencils. I have really sparse eyebrows, and tinting can really do so much. My top 2 brow products that I like to switch between is the Anastasia Brow Wiz in Ebony and the Hourglass Brow Sculpting Pencil. They've have been repurchased plenty of times in the last two years and for good reason! Both have specific features that depending on your type of brow style, both are really great products to use if you prefer to use pencil! The fine tip on this pencil is #lifegoals. It makes filling in sparse brows so easy and the pigmentation on the actual product is fine. You can't really make a mistake with this, unless you like to fill in your brows really firmly ( I don't think you'd like texta brows, so be light handed with this one!). The product itself comes in many different shades which is really good for choice and also if you like to go lighter or darker. In Australia, its available at Sephora for $38, which for me is a good affordable price. The product is awesome because of its angled tip. Making it easier for any noob out there to fill in their brows. 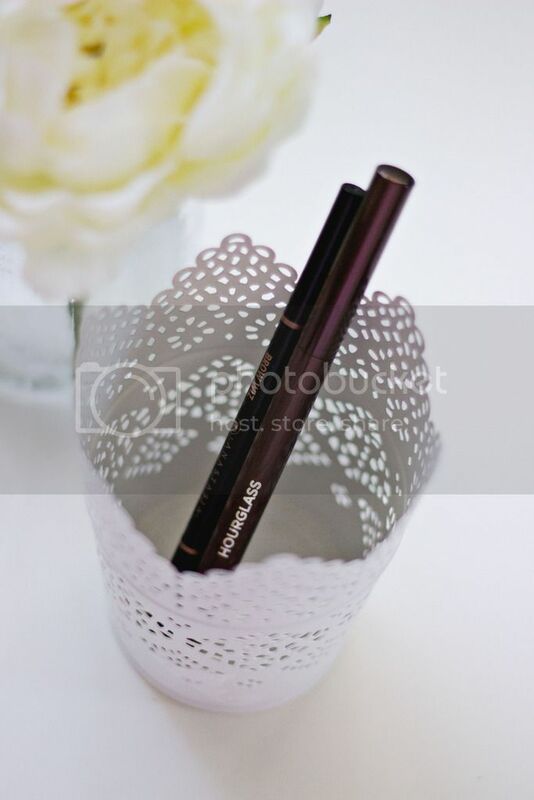 The pigmentation is fair just like the Anastasia brow pencil, so its easy to use and you can't make a mistake. For both products, at the end of the pencil it comes with a brow spooly, which is great for brushing out any harsh marks being made and grooming the brows. You can get the Hourglass brow pencil in 9 different shades, which is fantastic! You used to only be able to get it in 3-4 shades I believe, but they've recently extended the colour range! The Hourglass Brow Pencil can be purchased at Mecca Cosmetica stores for $51, so it is quite pricey but the quality is what you pay for. Which brow pencil have you used? Or which would you go for? What are your favourite brow pencils?